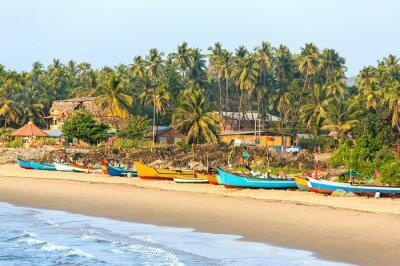 This peaceful “Land of Gods” is a true spiritual abode. The mighty Beas that runs through this valley makes Kangra a lush green place of beauty. In the Hindu texts, Kangra is often called the “Devbhumi”, which has a lot of religious and spiritual significance. 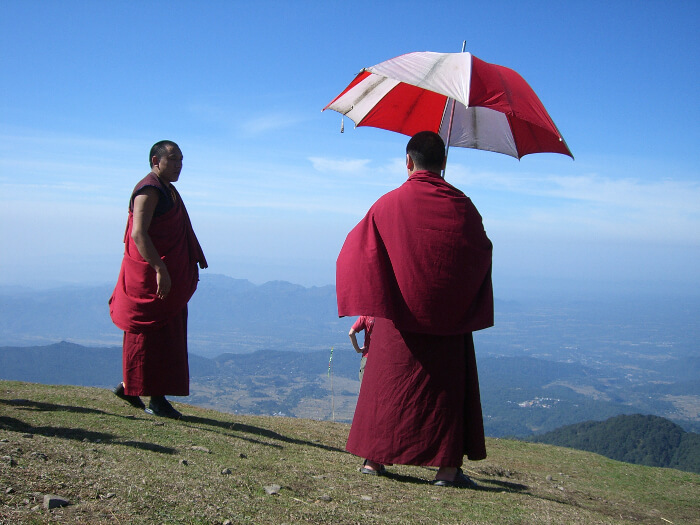 Other than the religious spots, there so many places to visit in Kangra that let travelers enjoy the hill town. Here are some of the most incredible places to visit in Kangra. Lying on the outskirts of the town of Kangra, this massive fort has been an important landmark in the history. It has witnessed thousand years of grandeur, invasion and war. The origins of this place go back to the ancient Trigarta Kingdom, which has a mention in the Mahabharata. 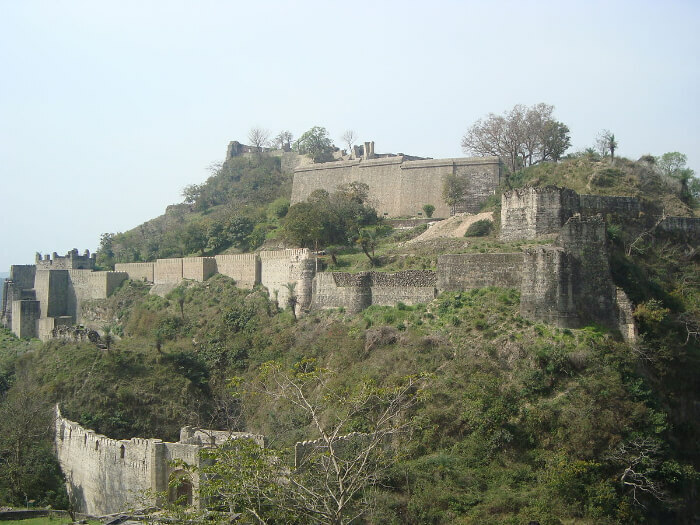 Kangra fort is one of the largest fort in the Himalayas and the oldest fort in India. There was a time when this fort was home to unimaginable riches. One of the best places to visit in Kangra valley. A picturesque lake which is located in the midst of Dhauladhar ranges, Kareri lake is one of the best places to visit in Kangra. 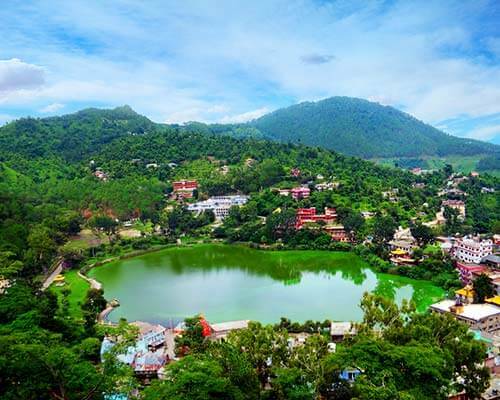 Also known as Kumarwah Lake, this lake lies 9 km to away from Dharamshala. It is now a popular trekking destination as its located at an altitude of 2,934 metres above the sea level. 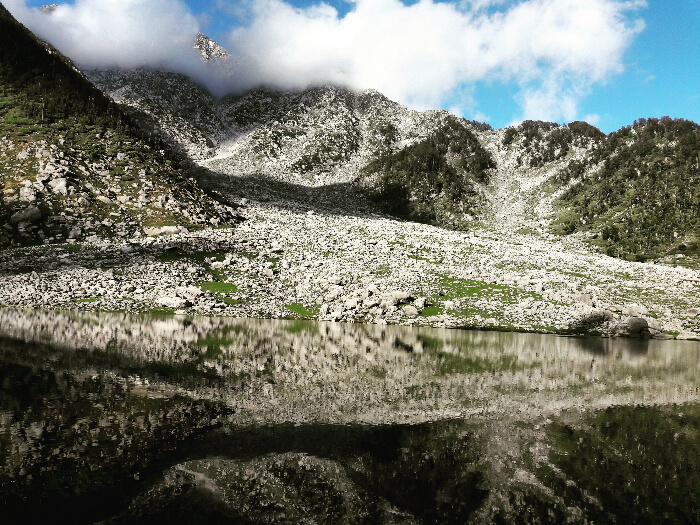 While a trek to Triund is much overdone, a trek to this lake is a much more peaceful experience. 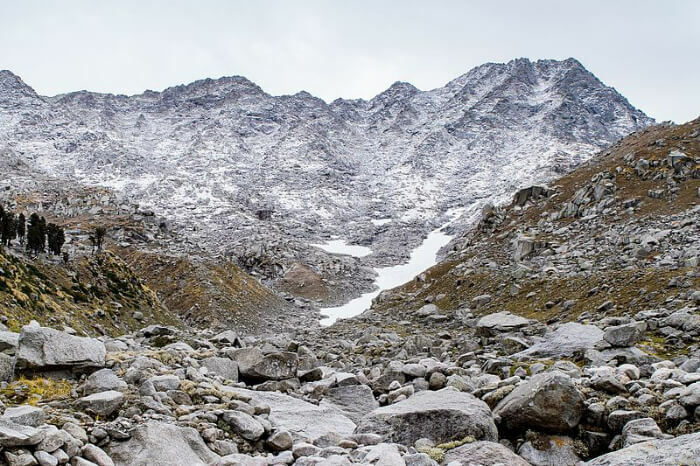 One of the most breathtaking treks in the Himachal, this trail starts from Mcleodganj, covers Lahesh and Triund Caves, and lasts about 14 km one way. 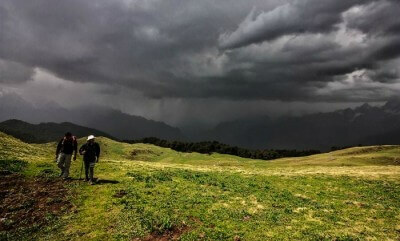 Do this trek for spotting the most amazing ranges like Pit Panjal range and also other smaller ranges. The best time to do the trek is from April to October. This is one of the best places in Kangra HP. 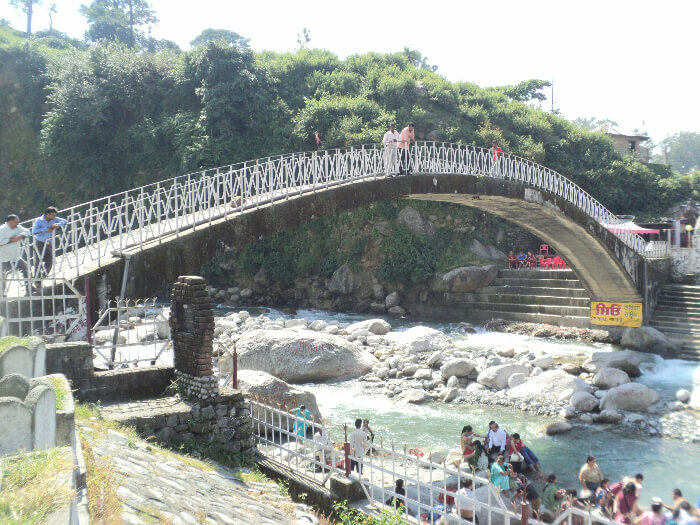 Located 10 km west of Palampur, this site is actually named as Chamunda Nandikeshwar. This is one of the most popular and visited shrines of Durga Maa, the holy Goddess. This temple houses an enraged formed of Durga, along with male Hindu deities. Go here for the amazing view of the Dhauladar ranges as well. 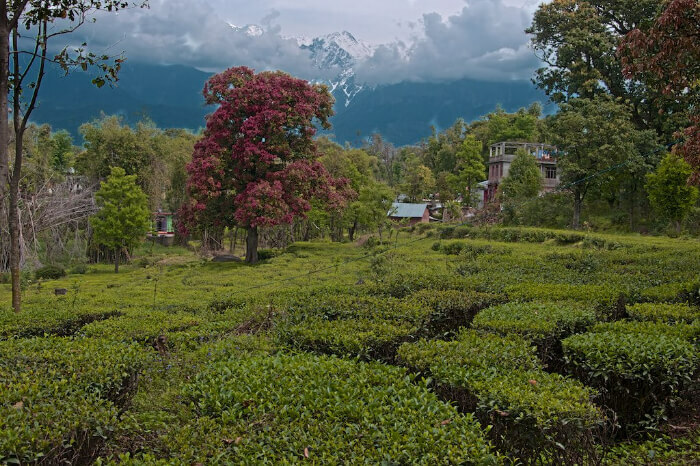 Located about 23 km from Kangra, Palampur is a peaceful town known for its beautiful tea plantations. If you’re living in Kangra for long, then make sure to do a day trip to these tea gardens. The quality of this tea is known all over the world. 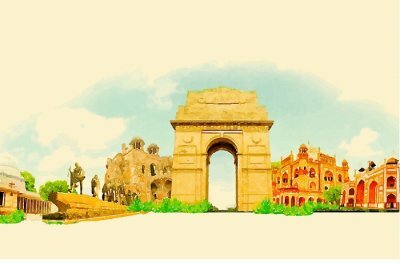 First noticed by Britishers, it was soon turned into a centre for trade and commerce. It’s definitely one of the most unexplored places in Himachal and one of the best places to visit in Kangra valley. 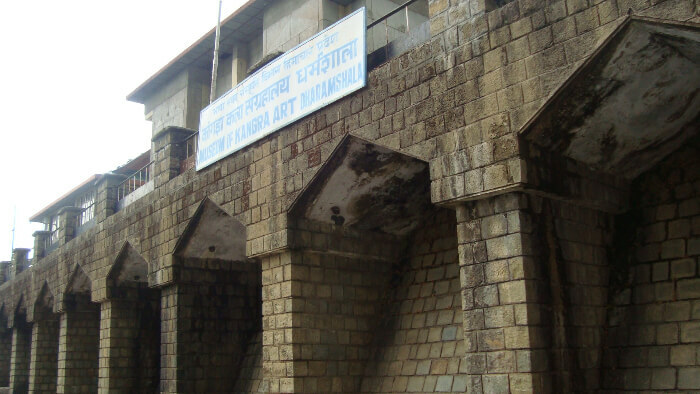 The lovely historical Kangra art Museum shows artifacts that date back to the 5th Century. There’s a gallery of Kangra’s renowned miniature painting apart from other sculptures also. It is dedicated to the marvels of Buddhist and Tibetan artwork. 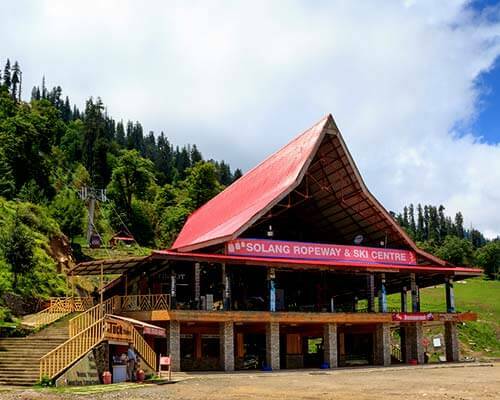 Often termed as a “Paragliding capital of India” Bir Billing is undoubtedly one of the best paragliding destinations in India. Bir is one of the best places to visit near Kangra Himachal Pradesh. Located 70 km of Dharamshala and situated north of Bir at the distance of 14 km. Bir is a Buddhist village and has a monastery and a Tibetan handicraft centre. Go here for a fantastic Paragliding experience. Also known as Maharana Pratap Sagar, this lake was created by a dam which was made in 1975. This is the most important fishing reservoir in the Himalayan foothills. This makes it one of the best places to visit near Kangra Himachal Pradesh. Have you been to Kangra valley? 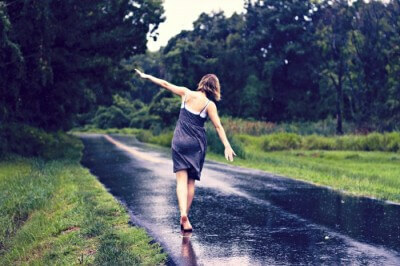 Let us know what more is there to see and do in this little paradise. 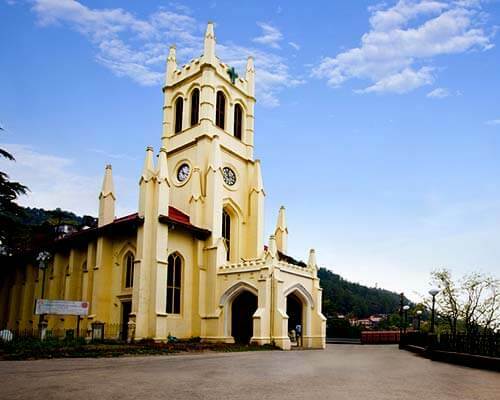 And if you’re new to Himachal travel, let us help you find the best tour packages for Himachal.